The purpose of this course is to develop a consciousness of reincarnation, based on kabbalistic teachings that will give the student the tools necessary to turn life’s’ opportunities into spiritual growth and refinement. 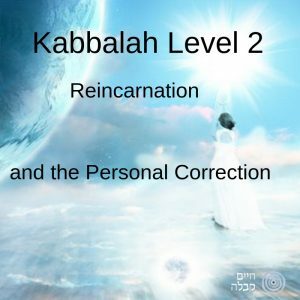 These ancient teachings on reincarnation were given to us by the kabbalists in order for us to see each moment of our lives as a series of occasions to perfect ourselves on the road to accomplishing spiritual perfection. Learning these teachings gives a person great strength in the areas of love, relationships, pain, loss, child-rearing, livelihood, health and fear. These practical and creative tools help the student to develop an outlook that is the formula for true success. The teachings of the Ari – Rabbi Isaac Luria. Why is it that most people do not remember their previous lives? What are the sources for reincarnation in the Torah? What are Soulmates? How do they find each other? a reflection of our soul correction. a reflection of the Tree of Life and the Sephirot. coping with depression, frustration, failure and despair. different types of correction and talent.